I must start with a notable catch on the Smith River. 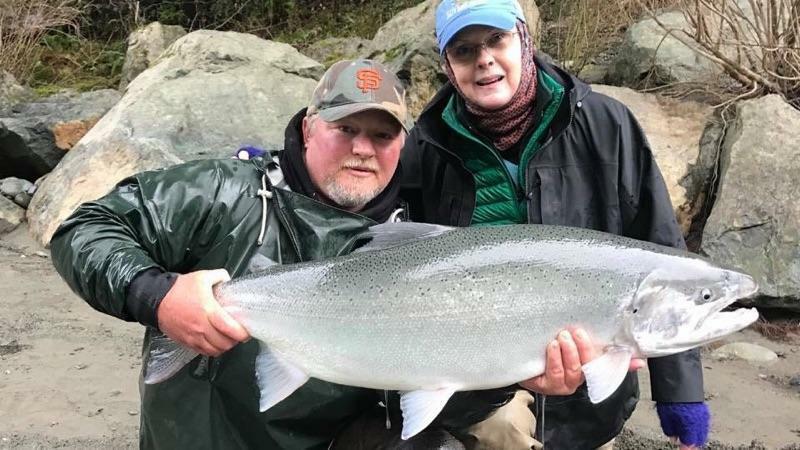 River guide, Mike Coopman, who is no stranger to big fish, guided his angler, Joanne, to a monster steelhead pushing 28 pounds. The huge fish was 42” long with a 23” girth. It could be a state record but that did not matter to Coopman or his anglers. They released the great fish to continue its journey upstream to spawn and pass on its genetics to future Smith River steelhead. Check out the video on Facebook. Mike says, “I’m just happy to hold the biggest steelhead in my life.” He credits Joanne for fighting the big steelhead with skill and, always the businessman, credits his equipment manufacturers. I have fished with Mike on a number of occasions and he guided me to my personal best steelhead. I imagine his next opening is five years out. It could not happen to a better guy, he definitely earns it. The next item is bad news. HASA salmon representative Bob Smith (RBob) wrote about the dim season prospects on page 4. I asked him how long before we see a recovery and he thought at least 3 years. The drought seems over and with a good ocean, salmon could recover quickly. The Klamath numbers are much worse than 2008/09 when we had no season and then a 10 day season. But that was when the Sacramento stocks crashed (for 41 reasons). The meeting, March 1st in Santa Rosa, will tell the whole story. We will have people there to relay the news. In 2010 a leopard shark from Humboldt Bay tested with the highest amounts of mercury in the state. The coast wide testing program, Surface Water Ambient Monitoring Program (SWAMP), checks for bioaccumulation of toxins in marine organisms. SWAMP is a program under the California State Water Quality Control Board and looks for things like mercury and PCB’s. In 2016 Humboldt Baykeeper received a grant from the California Environmental Protection Agency to investigate the levels of toxic contamination in Humboldt Bay. They will be assisted by the Wiyot Tribe and others in analyzing fish caught in the bay. Lingcod, leopard sharks, bat rays, perch, oysters and clams will be tested. We will follow the study and report the results. Bay dredging and mariculture expansion in North Bay are hot topics at the Harbor Commission, but they are not getting much press. Two separate meetings addressing the issues each brought a packed house. I would think that would spark more interest in the media, but I have seen little except on local blogs. Dredging is desperately needed throughout the bay. Boats are sitting on the mud at low tide at both Woodley Island and the City of Eureka Marina. This places stresses on boat hulls that could cause severe damage and possible fuel spills. Commercial fishermen are restricted to come and go at a high tide. Launch facilities are shallow, restricting recreational access. The entrance to the bay is shoaling again and has caused the cancellation of at least one forest products ship visit. Although entrance dredging is scheduled for May/June the bay dredging is mired in debate over the options for spoil disposal. Baykeeper is opposed to beach disposal which is the preferred option for many stakeholders. The concern is the spread of toxins and lost beach access. The cost of moving the material is a huge factor, as well as who will pay for it. More meetings and workshops will be scheduled. The debate is too complicated to adequately address in this column but look for a full report in the Spring issue. Mariculture expansion is no less complicated and boils down to a balance of uses on the bay. Large and small oyster growers want more tidelands which encroaches on waterfowl and waterfowl hunters. Nature watchers do not want to see a bay full of white PVC markers and blue and white buoys. Fishermen are concerned with herring spawning, sturgeon, California halibut, and boating access. But most everyone loves oysters and the mariculture companies bring jobs and protect the bay through water quality monitoring. The Harbor Commission has a tough task in striking that balance between commerce, environment, and recreation. A special Harbor Commission public meeting to consider Coast Seafood’s expansion is scheduled for Feb 28th at the Warfinger Building at 6pm. California’s Department of Fish and Wildlife has begun publishing a new magazine devoted to the State’s hunters and fishermen. It is titled “California Game & Fish”. They’ve targeted some potential subscribers by mail with an invitation to subscribe. 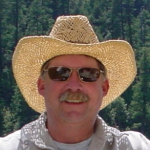 If you missed your notice, you can subscribe on-line here: california-game-fish-magazine.com-sub.biz.